The arrangement is filled with pastel roses and hydrangeas for the perfect bubbly shape. 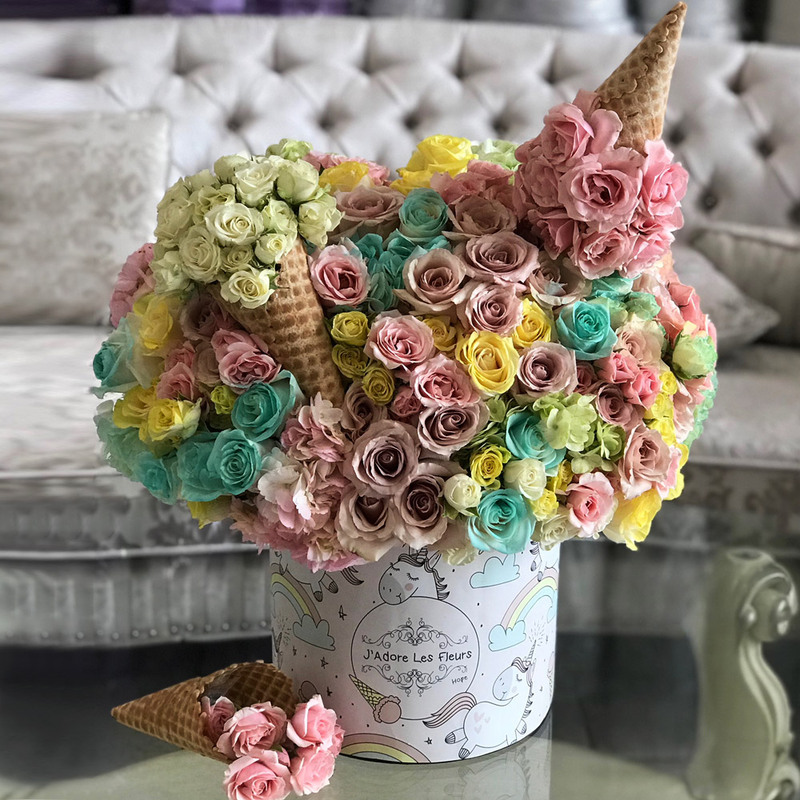 The ice cream cones are filled with roses for a fun twist! The arrangement in the photo is in our medium size box.